The Petersen Automotive Museum on Wilshire Blvd. @Fairfax Ave is undergoing a major renovation. Shot this image from my car, of course, as I was driving home. 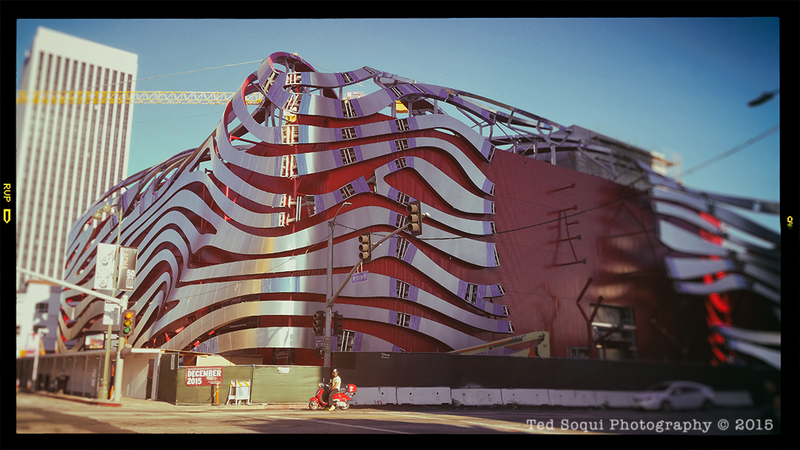 The new aluminum zebra striping wrap is gonna look awesome, lights will be placed behind it so the building will glow at night. Stop by the construction site. It's amazing to watch the working piece it together like a giant puzzle.